To book the course simply press the BUY NOW button below. 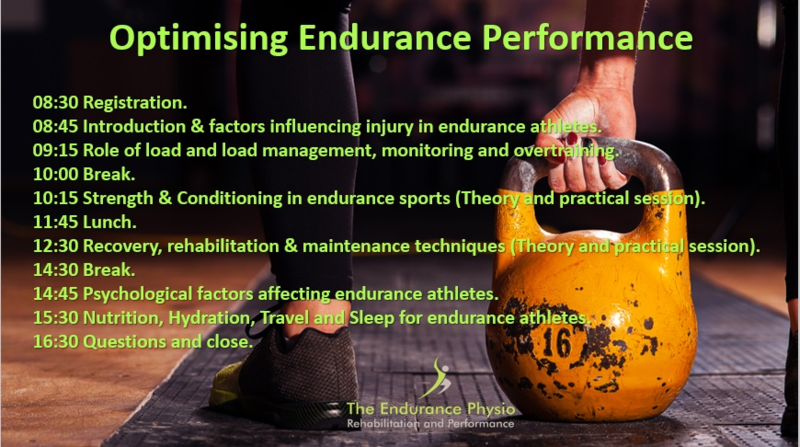 Mike, The Eurdurance Physio, has over 20yrs experience as an ultra-endurance athlete and therapist. He is a GB Age Group Triathlete, 14 x Ironman, 2 x Double IM & 1 x Triple IM! Not only that but he has completed over 100 ultra marathons and swum the channel. Mike also holds a Masters in Physiotherapy, as well as degrees in Sports Rehabilitation and Sports Science. The course aims to give attendees a greater knowledge of potential injury risks and how to avoid/manage them, how to manage training load, the importance of Strength and Conditioning, plus much more. Terms & Conditions: a min of 10 people must attend for course to go ahead. Full refunds will be given up to 72hrs before the course start date.